HACCP (Hazard Analysis Critical Control Points) is an important process managing system that identifies where potential contamination can occur and strictly controls these areas, ensuring the safest product possible is being produced. 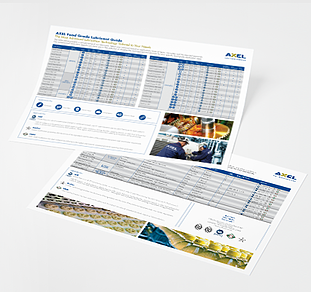 There are several useful processes or tools for identifying, analyzing and managing risks, such as ISO 22000 (Food Safety Management Systems), Safe Quality Food (SQF), British Retail Consortium (BRC), International Food Standard (IFS), etc. With AXEL Christiernsson’s high-performance food grade lubricants, your company is provided suitable lubrication solutions for your HACCP processes. These exceptional products reduce maintenance costs and increase production efficiency in beverage, bakery, dairy and other food industries. A single lubricant cannot handle all of the lubrication needs at a food facility. AXEL provides customised food grade lubricating solutions and a comprehensive product line to protect a wide range of equipment and moving parts including hydraulics, gears, compressors, vacuum pumps, chains and bearings. 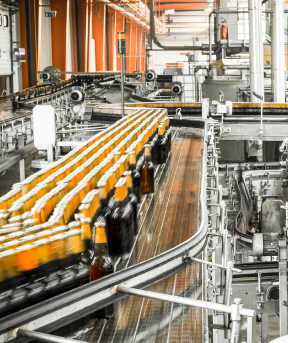 In addition to providing the precise food grade lubricant, AXEL's ISO 21469 Certification offers product and quality assurance throughout the entire manufacturing process.